The bank’s latest report also indicates that South Africa is lagging behind the rest of Sub-Saharan Africa, growing at 1.3% while the region is growing at 2.3%. The report shows that Nigeria, Angola and South Africa, which make 60% of Sub-Saharan Africa’s economy, are facing challenges which have negatively impacted their contribution to the region. Senior Economist at the World Bank Gerard Kambou says load shedding will affect the country’s growth outlook. 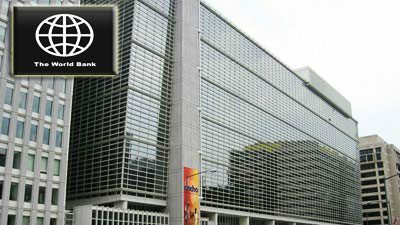 The World Bank has also down scaled Sub-Saharan Africa’s economic growth in 2019 to 2.8% from 3.3%. According to the bank’s Africa Pulse report, economic growth remained well below population growth for the fourth consecutive year. The report indicates that both global and domestic factors had an impact on the disappointing number. The report shows that growth in the region also fell by 0.2% in 2018. Chief Economist at the World Bank, Albert Zeufack says the region is faced with a number of domestic challenges which are affecting its ability to grow. The post Load shedding expected to weigh down on SA’s growth: World Bank appeared first on SABC News – Breaking news, special reports, world, business, sport coverage of all South African current events. Africa's news leader..